To mark the 50th anniversary of the 50p coin, the Royal Mint has released a limited edition set of the most sought-after designs. The new set will not enter general circulation, but rather be sold to collectors on the Royal Mint website. Some of the most popular 50p designs, including the valuable Kew Gardens coin, are included. Read on for details of the new coin set, how much they might be worth, and whether you could have a rare 50p sitting at home. What does the new 50p set include? The Royal Mint’s 50p British Culture set is comprised of the ‘greatest hits’ of 50p pieces from the past 20 years, each updated with the current portrait of the queen and stamped with a 2019 date on the reverse. 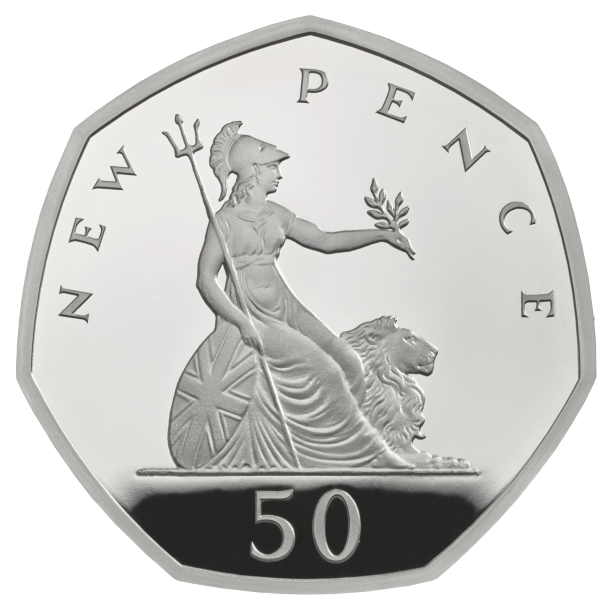 ‘New Pence’ - The 50p’s launch design, by artist Christopher Ironside, was in use until 2008. The text was tweaked to ‘Fifty Pence’ in 1982. 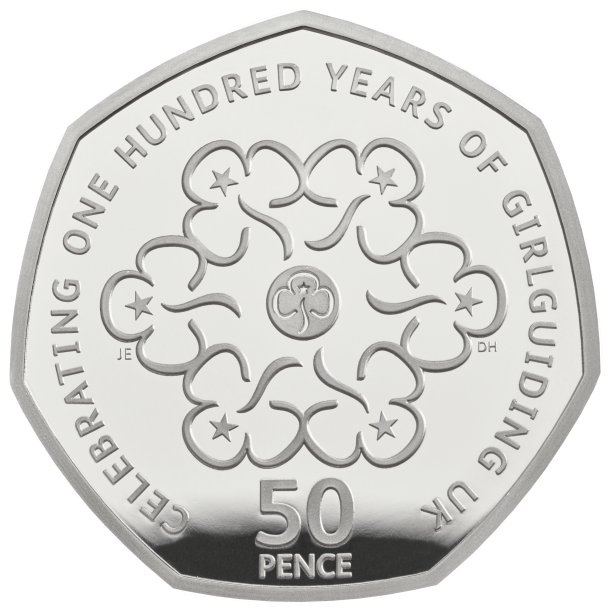 100 years of Girlguiding - Originally issued in 2010, Change Checker rates this as one of the 20 rarest 50p coins. 100 years of Scouting - Only slightly more common than the Girlguiding coin. Originally minted in 2007. Kew Gardens 250th anniversary - With very few in circulation, this coin's original 2009 issue is one of the most sought after rare coins. 50th anniversary of Roger Bannister’s sub-four-minute mile - Celebrating Bannister's 1954 world record. Originally issued in 2004. 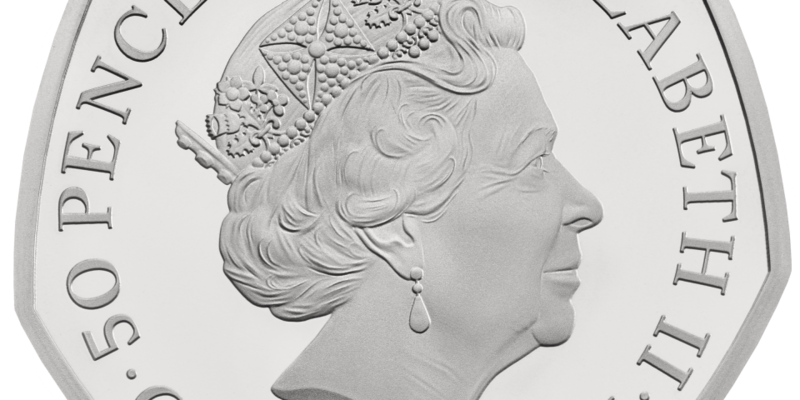 Jody Clark's portrait of Queen Elizabeth II - Each coin has this 2019-dated portrait on the reverse. Three anniversary packages have been announced featuring proof editions of all five coins. Proofs are early versions of coins struck on precious metals, often to test a coin design before it is minted in larger quantities. Since these designs will not enter general circulation, they will only ever be available as proofs. The coins are available in base proof, silver proof and gold proof collections, costing £90, £225, and £2,825, respectively. The Royal Mint has also announced a ‘2-Coin Historic Set’, which costs £30 and includes a 2019 50p alongside an original 1969 50p in a commemorative package. The bronze, silver and gold proof sets all sold out within two hours of launch. Those who missed out can visit the Royal Mint in South Wales to strike a 2019-dated ‘New Pence’ coin of their own. How much are these rare 50ps worth? 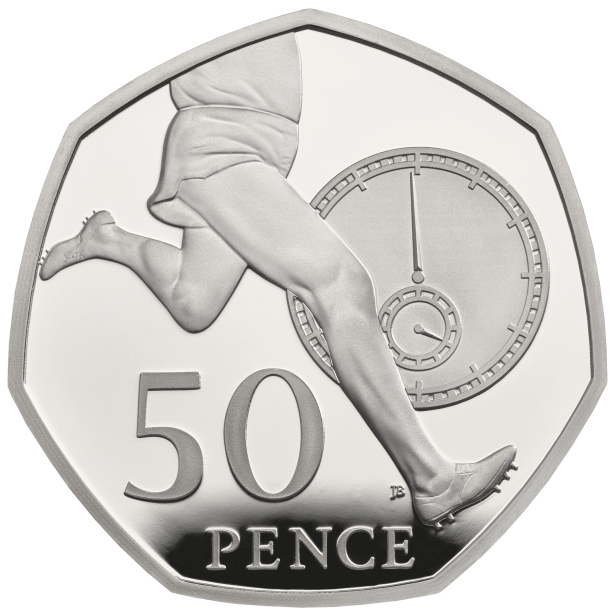 The 50p has had more than 60 different circulated image designs in its lifetime, with nearly half of those celebrating the London 2012 Olympics. Special edition 50ps are often produced in very low quantities, with rare 50p coins often selling for above their face value as collectors scramble to complete their sets. In the latest anniversary collection, only 75 gold proof sets were minted, along with 3,500 base proofs and a symbolic 1,969 silver proofs. 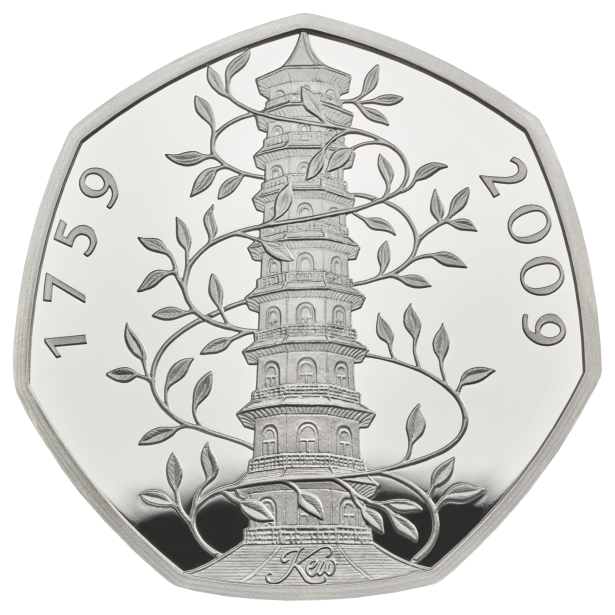 The 2009 Kew Gardens coin is the rarest 50p in circulation. Last year, a silver proof of the coin sold for £400, but even circulated versions go for an average of £90.33 on eBay. The original Kew Gardens 50p became so collectible because only 210,000 were even minted. To put that into perspective, the second rarest 50p in circulation – celebrating Sir Isaac Newton – has a mintage of 1.8 million. It’s hard to predict how much these 50th anniversary collections could be worth in the future, but the sold-out sets already appear to be attracting interest from collectors who missed out on buying them from the Royal Mint. One base proof coin set, which retails at £90, has already sold for £286 in an eBay auction. The £30 two-coin set, however, may prove less valuable. A 2019-struck ‘New Pence’ 50p (from the Royal Mint’s ‘strike your own’ experience) appears to sell for around £17 on eBay individually, and original 1969 50p coins are listed on eBay for as little as £2.99. This means the two coins’ combined market value may well be lower than the set’s retail price, at least for now. When using eBay to compare values, keep in mind that some sellers might post overly optimistic prices, or seek to inflate the coin’s value with a fake sale. Be wary as well of resellers offering coins of unproven origin as an ‘investment’ – read our investigation on the dark side of the coin investment craze for more. Why was the 50p introduced? On 14 October 1969, 120 million 50p coins entered circulation. It was the largest ever issue of a new coin at the time. 50ps were brought in to replace 10-shilling notes (known as ’10 bob’) as part of the decimalisation of UK currency. The unique shape – an equilateral curve heptagon – was chosen to make the 50p distinct from other coins but still able to roll in vending machines. This innovative design made the 50p the fist seven-sided coin in the world. Lord Fiske, chairman of the Decimal Currency Board from 1966-71, explained that 50p coins had longer lifespans than 10 bob notes, which usually only lasted around five months. By contrast, he claimed 50p coins ‘should have a life of at least 50 years’. 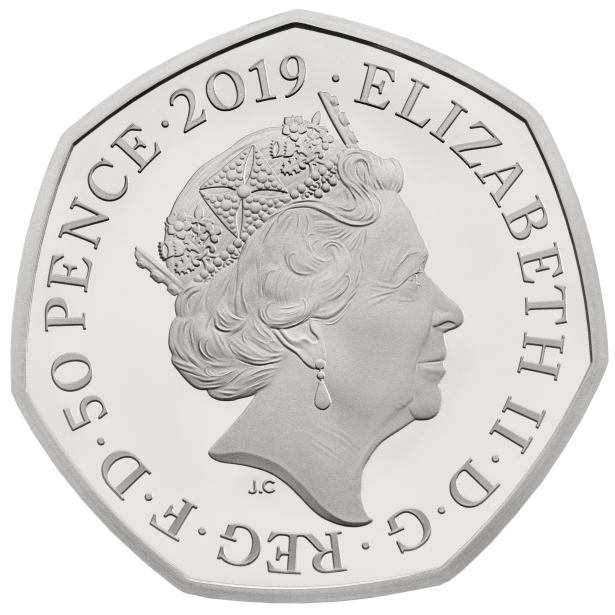 Since many 1969 50p pieces are still in good condition in 2019, it appears Lord Fiske was right, though the original issue 50p coins were demonetised in 1998 to make way for a slightly smaller version minted in 1997. Find out more: Could you spot the rarest 50p coins in the Olympic series? Is this rare 50p more valuable than the Kew Gardens coin?